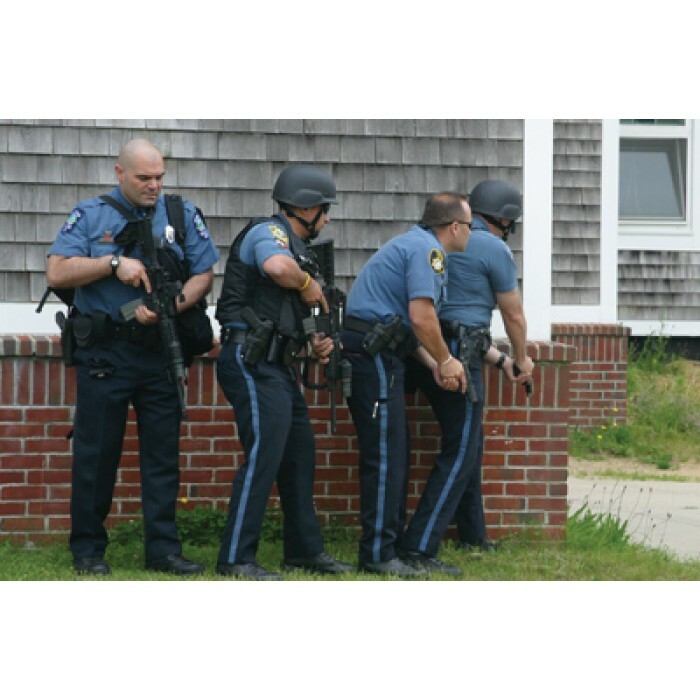 Active Shooter: Rapid Response is a safety training DVD program for response to a mass shooting. This training program is for school administration, law enforcement, emergency management and others who may be first responders. This compelling program shows how preparedness for and response to these fast-breaking and dangerous events is a joint effort between police, fire, EMS, community and facility emergency management. The role of trained and equipped tactical medics is depicted as well as the more traditional activities of EMS during mass casualty incidents: scoop and run rescue, triage, treatment, and transport. In addition to providing emergency medical service, firefighters are also depicted assisting law enforcement in forcible entry, firefighting, and managing building sprinkler systems. In such incidents, normal safety protocols may be suspended as officers quickly respond without waiting for support teams. Active Shooter: Rapid Response combines realistic scenarios and footage of actual incidents. $395.00, DVD (33 minutes) plus Resource CD-ROM. Produced by Emergency Film Group.